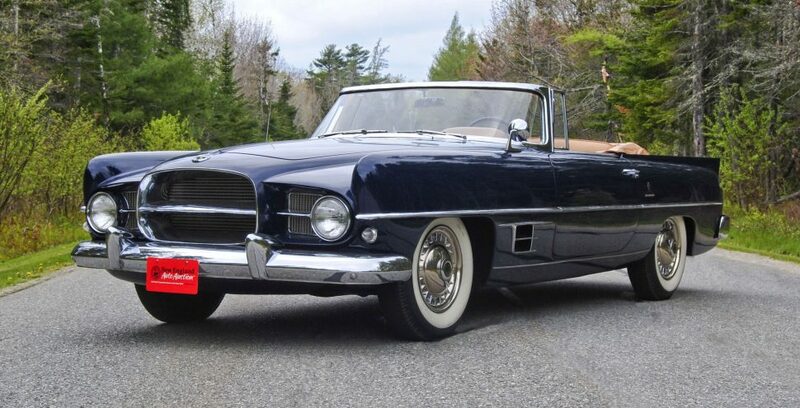 This picture of a 1957 Dual-Ghia convertible is from this Hemmings post. For old guys like me, the word “hybrid” in an automotive context means a car like this or an Iso Grifo. I saw a Dual-Ghia in person at a Barrett-Jackson auction my wonderful wife and I attended and it may have been my favorite car there. The car just exuded magnificence. I lament the lack of variety in today’s automotive offerings. “Progress” may be good, in general, but like virtually everything else in life, “progress” is not ALL good. This car was priced at $7,500 new in 1957, a little more expensive than a Cadillac Eldorado Biarritz and way less than a Continential Mark II that had a list price of close to $10,000. The drivetrain was a Dodge engine, which could be a hemi, and a PowerFlite automatic transmission. Carrozzeria Ghia, based in Turin, Italy, supplied the bodies and the interiors. In my previous blog I posted about the Dual-Ghia. It probably took me two to three months to fully recover from the shock of having that blog removed by the Evil Empire, of having lost six years of thoughts and hundreds of posts. As I keep writing, I believe I have good reason to be a disaffected man.